Since I finished quite a few items lately, this week was the week of new beginnings. 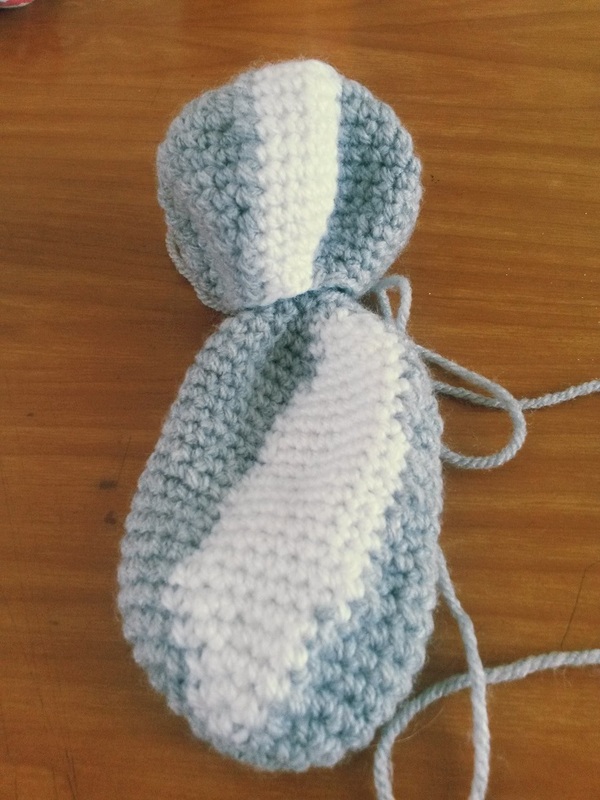 Other project I’ve started yesterday is hopefully going to be a cardigan for my daughter. She has asked for one in the same yarn as my Riviera Skies top, but with buttons and long sleeves. 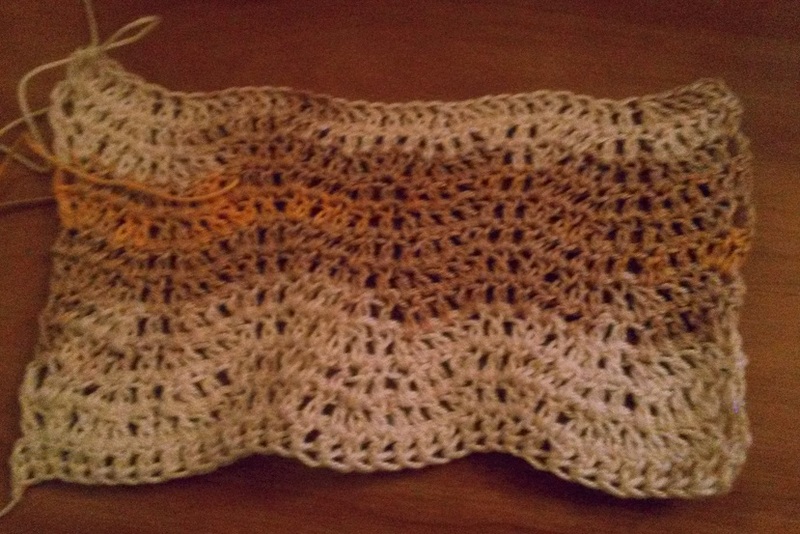 I’m now swatching for a simple wave pattern – I hope to make a raglan one top down. Separator image Posted in My kniting & crochet and tagged with crochet, YOP. ohhh a cardigan! I have never understood how the sleeves work so this will be fun to see you make! Have a happy week hookin’ it up! Hmm, I’m a bit worried about it myself, but determined to make it work. We shall see. I just hate making sweaters in pieces, because you don’t know how it’ll fit until all the parts are done and seamed. Love the laid back cat – good luck with all the bits! Thank you. I’m not a big fan of making Amigurumi, but the end result is usually worth it. Those laid back cats will be lovely teacher gifts! I look forward to seeing your progress with the itty bitty bits. Thank you. I’m still putting the bits off..